My favorite day of the week is Tuesday! Why? Because it’s Taco Tuesday! Of course, any day that features Mexican food is my favorite. What can I say? 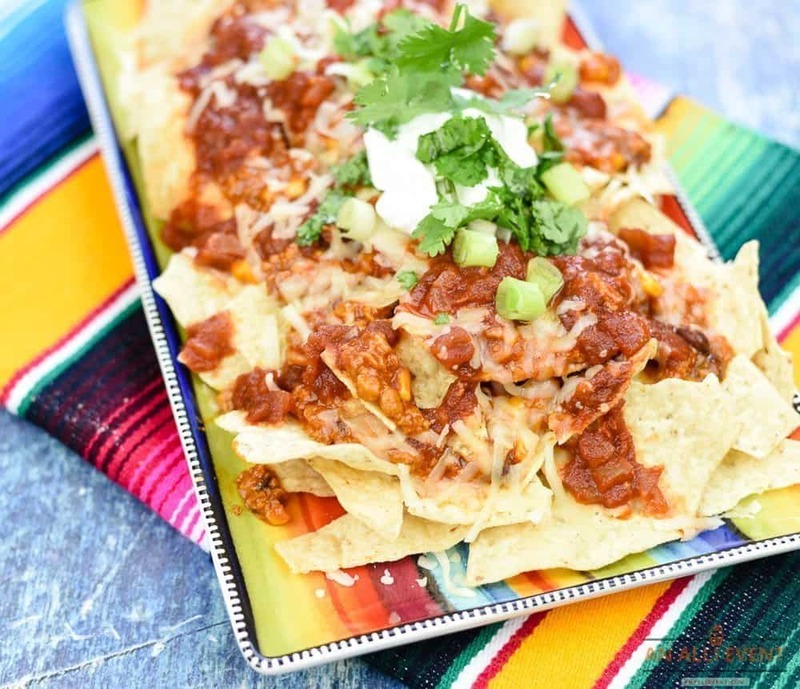 I heart Mexican food and Loaded Nachos with Pace® Snacking Salsa. I remember the first time I had Mexican food when I was a little girl. It was love at first bite. Since then, I’ve enjoyed Mexican cuisine in Mexico, on Taco Tuesdays and everywhere in between. When it comes to entertaining family and friends, I often turn to my Taco Tuesday menu because it’s so popular. Plus, Loaded Nachos are so easy to make and it’s a complete meal. Add some Mexican brownies or churros and dinner is served. Loaded Nachos happen to be my favorite food of all time and I take them seriously. Proportions are everything when it comes to layering nachos and the salsa is the most important ingredient of all. You can’t top a plate of loaded nachos with just any salsa. It has to be the best. That’s why I top my nachos with Pace Snacking Salsa. Pace Snacking Salsa is my favorite salsa because it’s made with high-quality ingredients and four unique peppers – Ancho, Pasilla, Guajillo and Chipotle. This bold kick of flavor and taste is a delicious way to top my loaded nachos. 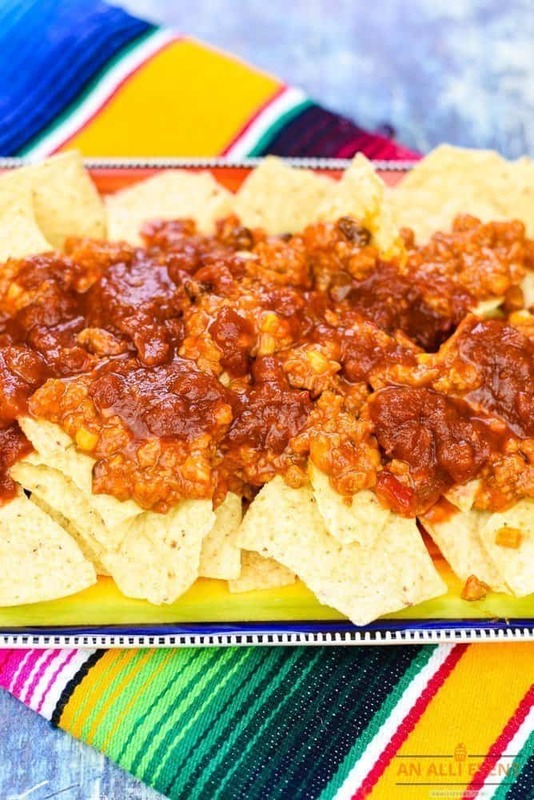 If you’re looking for the perfect salsa for dipping and snacking, this is it. Give me a bowl of Pace Snacking Salsa and some chips and I’m one happy girl. 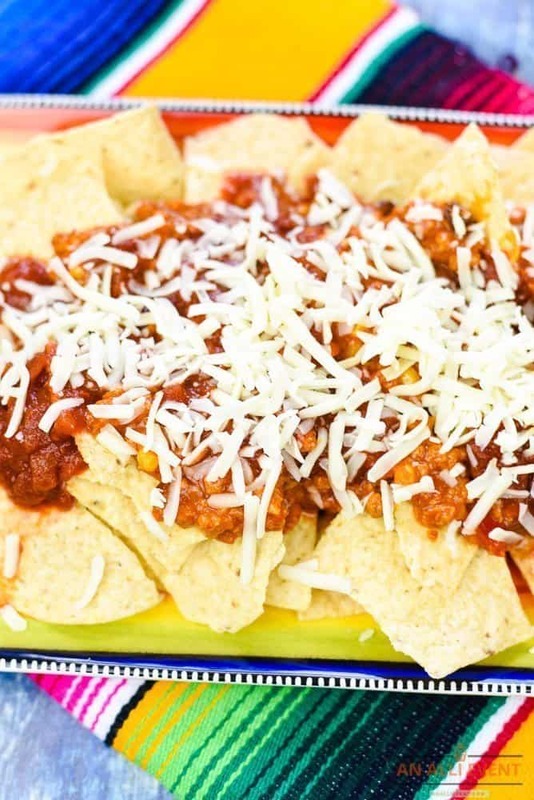 You are not going to believe how quick and easy it is to make these loaded nachos. You just need a few ingredients, including the Pace Snacking Salsa and Pace® Taco Complete. 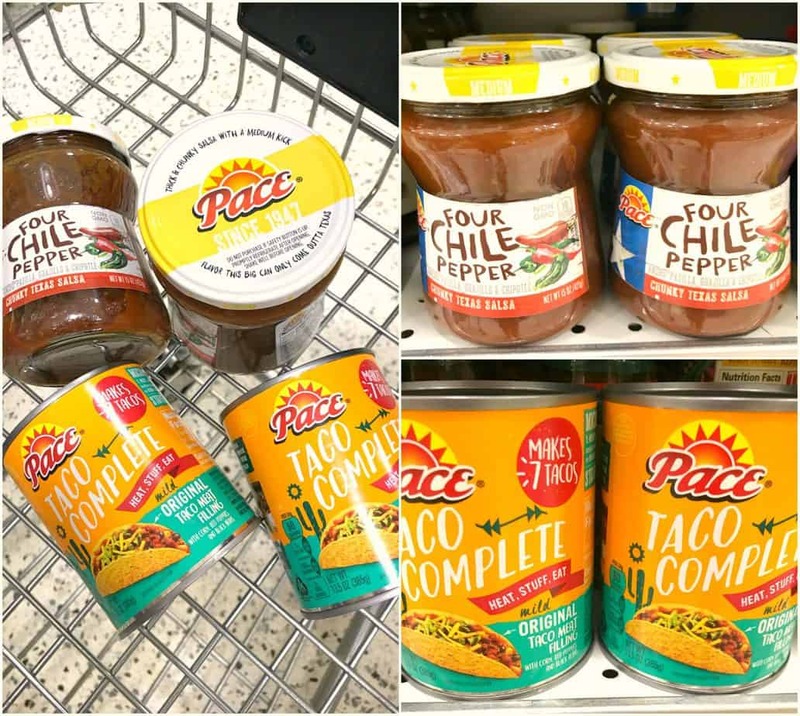 Pace Taco Complete includes everything you need to make nachos or tacos – taco meat, corn, peppers and black beans. It’s so easy to use, just heat, stuff and eat. It makes 7 tacos and is available at select Publix stores. I purchased all of the ingredients for Loaded Nachos at my local Publix. 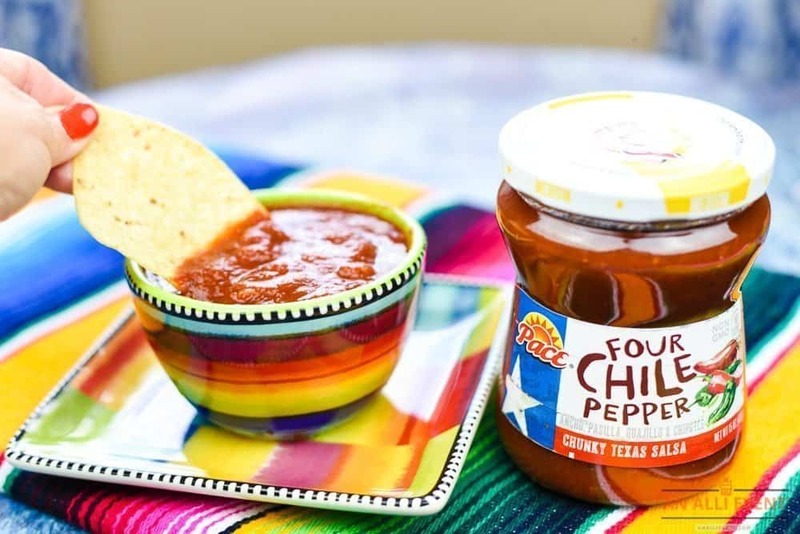 Pace® Snacking Salsa and Pace Taco Complete can be found in the international food aisle. Heat Pace Taco Complete in the microwave according to directions on the packaging. Meanwhile, arrange a layer of tortilla chips on a platter. Top the tortilla chips with Pace Taco Complete and Pace Snacking Salsa. Add shredded Mexican cheese. Repeat layers. Top with Pace Snacking Salsa, chopped cilantro, and sour cream. Wasn’t that easy? In addition to my Loaded Nachos, I always have bowls of Pace Snacking Salsa and chips for snacking as I prepare the meal. Heat Pace Taco Complete in the microwave according to package directions. Meanwhile, layer tortilla chips on a platter. Top with 1/2 of the Pace Taco Complete, 4 Tablespoons Pace Snacking Salsa and sprinkle with shredded cheese. Repeat with a layer of tortilla chips, Pace Taco Complete, salsa and shredded cheese. Top with Pace Snacking Salsa, sliced green onions and chopped cilantro. Mix with mayo to create a spicy dipping sauce for fries or onion rings. Add a kick to traditional mac & cheese. Use in place of cocktail sauce when serving seafood. Use in place of ketchup when making homemade sloppy joes. Spice up your spaghetti sauce. Make sure you stop by Publix and pick up a few jars of Pace Snacking Salsa and the rest of the ingredients to make my Quick and Easy Loaded Nachos. Taco Tuesday just got a whole lot better! Such a classic recipe. I can’t wait to make up a batch of these easy nachos. My kids are sure to love them. Load them up!! We are HUGE Patriots fans and make homemade nachos every Sunday when it’s game day. It’s our favorite snack. Oh I can eat nachos every single day! I haven’t seen these new Pace products in my stores yet! I need to give them a try though when I see them! This is great – not only for a last minute appetizer, but this would even make a great meal for our family on a busy night! My kids would eat it all! 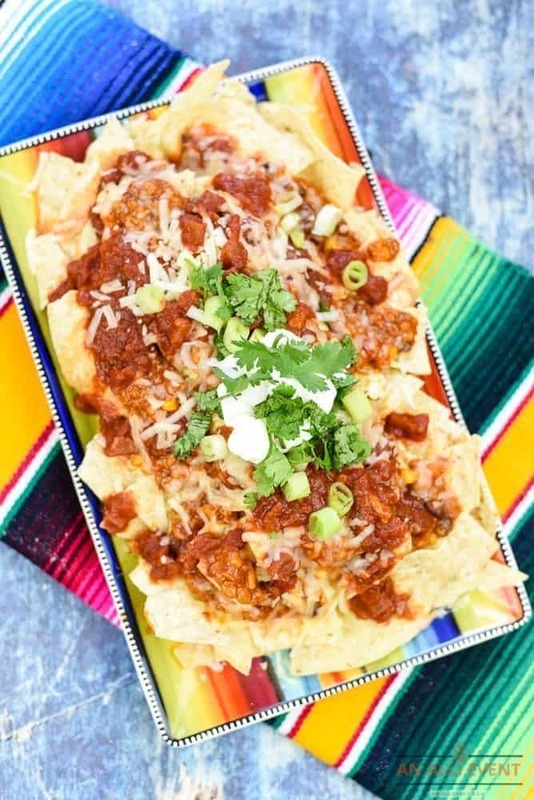 My son came in when I was reading this post and now he wants us to go to the grocery store and get the ingredients to make these Nachos which is perfect because I don’t have to decide what we were having for dinner. I love these loaded nachos. I love something that is so easy, tasty and beautiful! I can’t wait to try them. Just looking at these pictures is making my stomach growl! I am totally going to do this. I cannot wait to snack on these at our next get together with friends. This loaded nacho would make for a great meal or serve as an appetizer. Thinking we have have everything to make this tonight for dinner. Perfect when you have guests at home! It’s really easy to prepare and it looks SO good as well. Thanks for the recipe! This is so mouth watering every one in my family loves tacos. I just recently purchase my food processor and we harvest tomato in our garden yesterday this is perfect timing. I love making nachos! I have never tried Pace before and it looks good. I like the list of different ways to use it in meals. It is very creative! The first thing that popped out at me was the fact that I could make this recipe in 10 minutes. 10 minutes to fill some very hungry bellies is the ultimate in food-prep goals for our family! We are always so busy! I admit I was a little curious as to how you were getting loaded nachos in 10 minutes. It looks just as quick and easy as you said. You had me at “in less than 10 minutes” LOL!! These nachos look good! I need to make them for myself soon!! Oh wow! What a great food in just ten minutes. I would definitely love to try out this one. Definitely a perfect snack! Those look absolutely delicious! My son’s birthday is coming up and I have a crowd to feed- this is perfect. Love that it only takes a few minutes. My daughter would love this, one of her favorite snacks is nachos. I love that the prep time is not long. Love Mexican cuisine and flavors and it’s definitely one of the things that I really enjoy. I think nachos are awesome, they’re easy to make and they’re pretty loaded when it comes to flavor! You really can’t lose. Oh, loaded nachos! Even I something should be able to make this one. Can’t wait.